Hello, this is Arca, and while you are reading this right now, I am in Turkey. Long-time fans of my blog, or anyone who knows me personally, is familiar with the fact that every summer, I go on vacation to Turkey for around three weeks to visit my family and go to the beach. Seeing as I have around three weeks, a decent chunk of which I will be sitting around doing nothing, I decided to not put my time (and WiFi) to waste. To make the most of the summer I have left, I will try to continue to blog as much as possible, even in Turkey. Of course, it won't be as frequent or detailed, but I will try my best to post a few times a week. My blog will still be about my regular post topics, but this time, I will also make a post at the end of each week discussing what I did in Turkey that week. This week, so far, I am in Ankara (the capital of Turkey), and I happened to meet a famous Turkish journalist woman named Ayşe Arman. My mom recognized her at the New York airport, and immediately introduced me to her and her daughter. I told her about my blog, and how I love to write stories and articles, just like her. It was a cool encounter, and if she is reading this right now, I would like to say that it was a pleasure meeting you, and great job on your own newspaper work. Nintendo Sues Retro Emulation Sites, BIG time! This won't make sense to you unless you know what emulation is. In the most simplest definition, to emulate means to imitate or replicate something. In the case of video games, emulation is a category of software which lets you play any game you want without actually owning the console which it is on. Video game emulation has been going on since the ‘90s, and the most prominent form of it is usually with decades-old “retro” games. This is since these particular games are not only considered to be of very high quality, but also since they are near impossible to play nowadays otherwise. Consoles such as the NES, SNES, Atari 2600, Sega Genesis, and PS1 may have some of the best games ever made on them, but unless you want to shell out at least few thousand dollars to EBay collectors, there is no other way to buy them in 2018. The games on them are 20-30 years old, so it make sense that most stores nowadays wouldn't sell them anymore.Fervid retro game fans have since come up with a solution, and it comes in the form of a three-syllable word: Emulation. Why spend an arm and a leg getting games for a fossilized system when you can download them for free, on your shiny new computer? That seems fine in retrospect, but one little word is what ticked Nintendo off: “free”. Nintendo noticed this and decided to make a big statement out of it by doing something bolder than simply scolding the, over social media: They sued. For an awful lot of money. How much am I talking about? 100 million dollars. That’s quite a lot of zeroes! Nintendo recently made the ROM-downloading sites (a key part of emulation) known as LoveRETRO and LoveROMs the target of a massive lawsuit for copyright infringement. I’m not a lawyer or anything like that, but from what I could understand from my research was that Nintendo has a valid legal standpoint on the topic: The games are their intellectual property, so they are pissed off that some random dudes on the Internet are “stealing” their source code to let anybody play them without paying Nintendo a single penny. Since the owners of these sites are technically making money from something that they didn't create, it counts as software theft on the administrator’s behalf, and piracy on the consumer’s behalf. But wait, you may be thinking, if the emulated games are downloadable for free, then how are they “making money” off of something that isn’t theirs? The answer is simple: Selling the games isn't the only way to make money off their website. These types of sites often have paid advertisements put on them, and the owners often put links so that people can donate money to them. While most of these sites only make money for the sake of maintaining their site domain, they are still technically profiting from their shenanigans. The supporters of these sites say that what they are doing is simple for a love of the past: Think of these sites as a museum of very old games. They believe that by preserving these games, they are stopping these “works of art” from being forgotten, which is what would’ve happened otherwise. Nintendo may have even made matters worse for themselves by confirming the absence of Virtual Console on the Nintendo Switch. I wouldn’t be surprised if this announcement sparked a larger popularity for these websites, since some were disappointed that they wouldn't be able to play some of their favorite old games on their favorite new console. While retro games were confirmed for the Switch’s online service (launching this September), the catalog may appear limited to some. My standpoint? I don't disagree with Nintendo’s statements on the matter; after all, it is their IP, and they have the right to defend it. I still think that they could have made the situation a little better by listening to the fans and putting a more expansive retro-game catalog on the Switch. If they had done so, I would have felt differently in the topic, but now, it sort of seems that Nintendo is fighting a battle that won’t benefit them at all in the long term. The owners of the sites definitely don't have that kind of cash, and unless you a doing this since you have a surprise Virtual Console reveal coming soon for the Switch, I don’t really see the benefits of punishing people who “stole” something that couldn't be purchased in the first place. Super Smash Bros Ultimate Direct Confirmed for this Wednesday! Nearly two months ago, E3 2018 happened. That was the day that Nintendo not on,y announced lots of news, but also disappointed a lot of fans. Why? It all has to do with Smash Bros. This game series is perhaps the single Nintendo franchise with the most passionate and demanding fanbase. Apparently, having the newest installment in the series (Super Smash Bros. 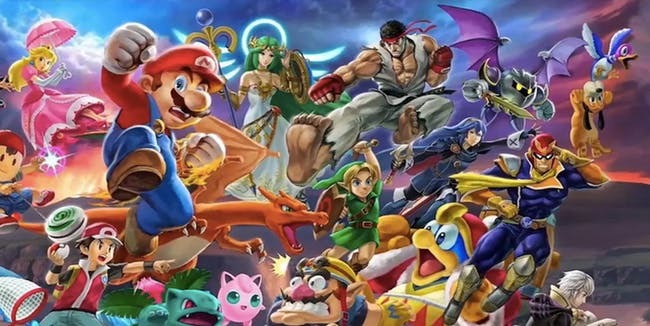 Ultimate) with every single character that ever appeared in Smash as a playable character just wasn't enough to quench the fans’ greedy thirst for countless newcomers. While it definitely was great to have the series return to to its roots with the roster reboot, we only got three new character announcements: Inklings (which was obvious from the start), Ridley (which came out of absolutely nowhere), and Daisy (which is one of the most generic clone characters that they could have possibly dreamed up of). The worst news of all? Waluigi, our favorite WAH-step, is still just an assist trophy. Fans, of course, were upset at all of this, and their reactions ranged from outrage to amusement. Everything from newcomer wishlists, fake leaks, songs written mourning Waluigi’s absence, and memes parodying the “Everyone is Here” roster video (wohoo, now I can finally play as Danny Devito and Shrek!) flooded the Internet in the days, weeks, and months following E3. Game-director Masahiro Sakurai obviously want just sitting in his Japanese office, sipping some tea, and ignoring all of this. He took notice of the mass demand for more information on the game. How do I know? Well, just today during the Amelie tournament at EVO, a brand new Nintendo Direct was announced for this Wednesday, August 8th, that will focus on Smash Bros Ultimate. This means a few things. One, he actually noticed the fan’s reaction to E3, and maybe even listened to some feedback (legitimate feedback, not involving making Jimmy Neutron and Lebron James playable characters). And two, somehow our reaction was loud enough that they made a Direct so soon after E3. This announcement is good news, as long as the fans remember to tone down their expectations a bit before Wednesday, August 8, 2018, arrives. In other words, please don't go in expecting something like this: “There is a free demo on the eShop available NOW! The game launches next week, due to a speed-up in development. By the way, every single character in any video game ever is now playable!” It will never happen. What do I think is likely, however are a few new stages and modes announced. We may even get a single player campaign if we’re lucky. As far as newcomers go, I’m sure that more that will be announced, but that at least 70% of them will be echo fighters. I mean, they’re easier to code, and it will make the fans happy, especially since many of the well-demanded characters are similar to already existing fighters in the game (such as Shadow the Hedgehog, Dixie Kong, and Dark Samus). As for real newcomers, it would be great to see Chibi Robo (Nintendo hinted at it in their Twitter account), King K Rool, Spring Man, Paper Mario, and most importantly of all, Waluigi. Do I expect to turn out wrong? Absolutely. I have bad luck when it comes to making Nintendo predictions (as my E3 2018 predictions post proves), but at least all of my guesses make sense (unlike asking for Goku to be in the roster). 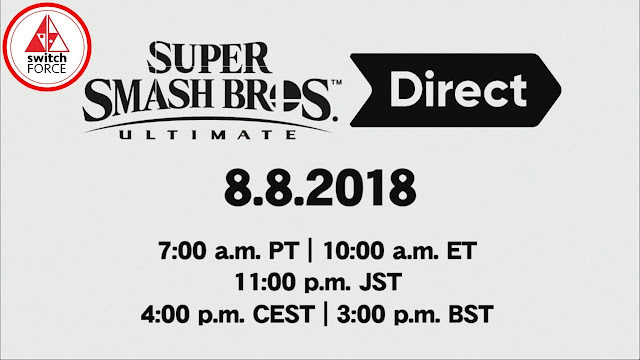 You can watch the new direct live on Nintendo’s YouTube channel this Wednesday, August 8th, at 10 AM eastern time/ 7 AM pacific time. Since I am in Turkey, the Istanbul times one translates to 5 PM, so I’ll at least be awake to watch it happen. If there's one thing that the Switch has too much of, it's controllers. There are Joy-Cons for almost all colors of the rainbow, three different Pro-Controller designs, wired controllers, retro controllers, and even arcade fight sticks. 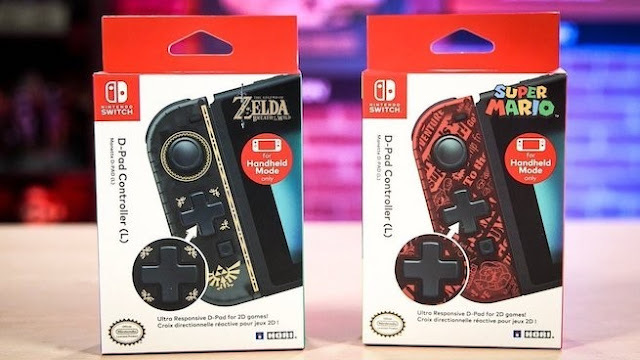 The third-party accessory producers Hori and PDP have both announced that they will add to the extensive array of Switch controllers, with two types of controllers that can do things that official ones can't. 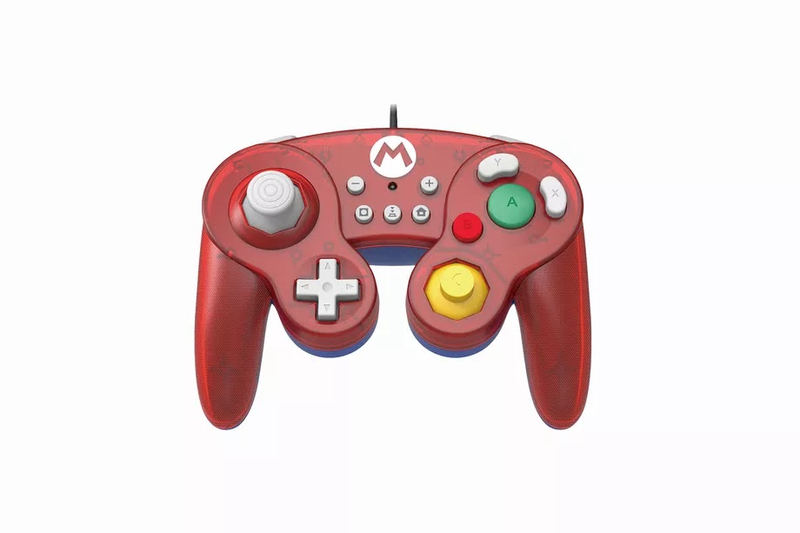 The first type of controller is specifically made for the new Smash Bros Ultimate game on Switch. They’re modeled after the classic GameCube controller, and designed to work with the Switch. Both Hori and PDP have announced their own wired controllers, coming to North America in time for the release of Smash Ultimate, this fall/winter. Both of them are essentially the same, except they offer different designs after Pikachu, Mario, and Link. Both versions will cost 25 dollars. This will be a favorite of long-time Smash Bros players who want to return to the series’ controller beginnings. The second type of controller is the first ever third-party Joy Con, produced by Hori. How is it different? The main reason is that it includes a complete D-pad, which the official left Joy Con notoriously lacks. This will be more ideal for fighting game players and retro 2D-platformer players, since it will offer a more precise control method as opposed to the tiny, separate directional buttons in the official Joy Con. It even comes in two awesome, semi-transparent designs, one of which is Mario-themed, and the other is Zelda-themed. The downsides? In order to keep it cheap (25 dollars is less than a third of the regular Joy Con price), many features were left out of it. First of all, and the most drastic con, is that it can only be used in handheld mode, when it is directly attached to the Switch. That means that you cannot use it in TV mode or tabletop mode, which have the controller used wirelessly. This was done to eliminate the need to include an internal battery, which would higher the cost of the controller. Not only that, but the controller lacks the features of HD rumble and motion controls, but the second technically isn't much of an issue since the right Joy Con already has motion controls, so you can still technically play games like Splatoon 2 with it. At the end of the day, this controller is clearly meant for a very niche audience: Those who play 2D sidescrollers on the Switch with handheld mode who are willing to sacrifice wireless connectivity for the sake of the best D-pad possible. It will release this November. I know that this should have happened much earlier, but just today, The Legend of Zelda series director Eiji Aonuma has confirmed where the latest game in the franchise, Breath of the Wild (which launched alongside the Switch in March 2017) stands in the official series timeline, but the answers not at all groundbreaking. So, when does it take place? The answer is, unsurprisingly, at the very end of it. The confirmation of BOTW being the last game to take place chronologically in the series timeline isn't much of a surprise, but at least now we can say that for certain. Alongside this new addition to the timeline, Aonuma also made a minor change to the already existing timeline. Now, the game A Link to the Past takes place before the Oracle games, instead of how it used to be, which was after the Oracle games. If you liked this post, be sure to browse the labels at the top of the post's sidebar to find other similar posts on this blog. Here are some other blogs you may like. This is Arca, signing off. Bye for now!